Your education at TU Delft is about more than engineering it’s also about understanding and developing who you are as a person. Taking time to understand your unique personality will guide you in your personal and professional life. As well as your technical knowledge there are essential skills that make you stand out and which are highly valued by employers. Personal growth covers topics like identity, autonomy and improving self-awareness. It explores how you define yourself, how you communicate, what you want to do with your live, and your relationships with others. Working on personal growth enhances the quality of life and contributes to the realization of (life) goals, dreams and aspirations. Personal growth can take many forms, from reading books, exercising mindfulness, working as an intern at a company to joining the study buddy project here at the university. 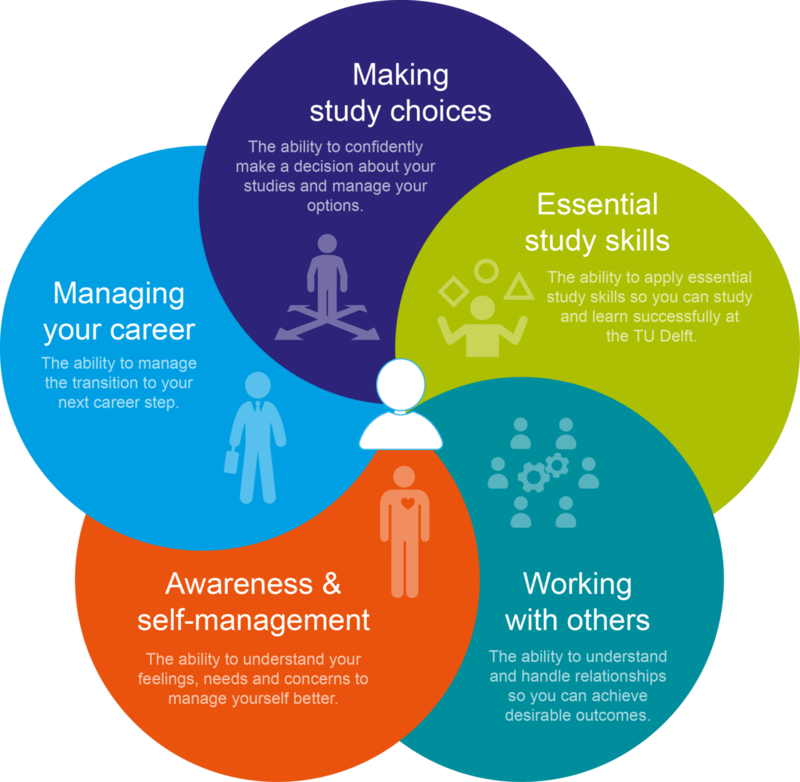 In addition to the learnings you gain from your courses, the Career & Counselling Services offers a range of resources (workshops, books, individual consultations) which focus on personal growth. This offer combines principles from psychology and coaching. We base our services around five core competences for personal growth.